Finally finished with Tyrion Lannister, also known as the Imp. This is just about everyone’s favorite character in the series Games of Thrones, rightly so, Peter Dinklage does an amazing job portraying him. Making him was a bit challenging because I wanted to make sure the proportions were smaller than the rest of the characters. I added a little bit of detail in his shirt to make it stand out a little bit, but still kept it rather simple. Post a comment and let me know what you think. Thanks! Yes he is! One of my favorites, I’m glad that the series is doing more than justice portraying him! 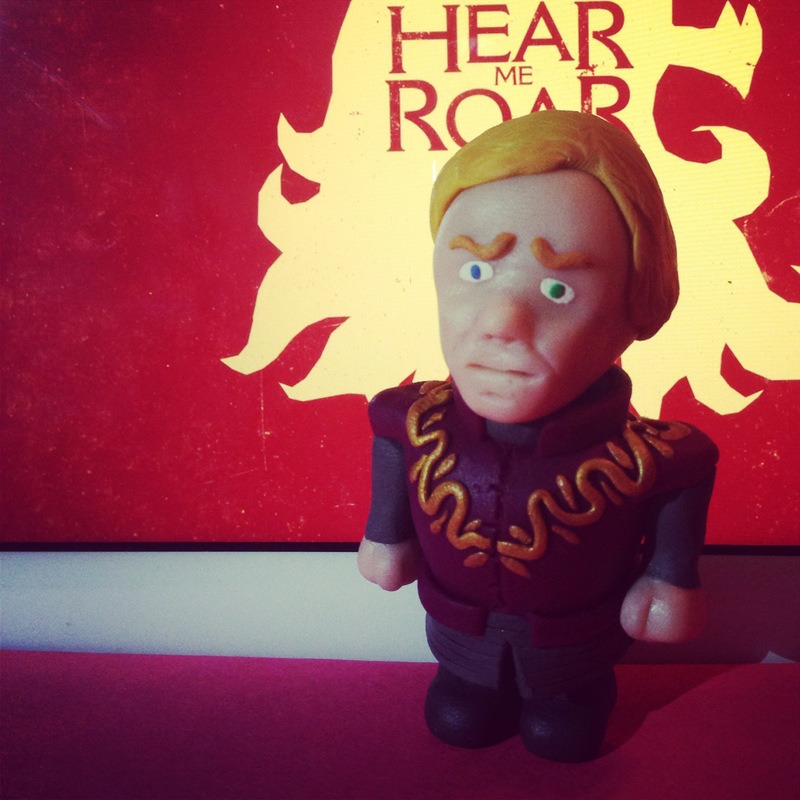 ← Robert of the House Baratheon, Done!